Get the most up-to-date information about library events and activities. Subscribe below to get a copy of this newsletter emailed to you every month. 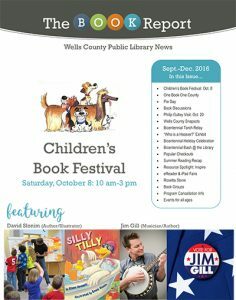 Published three times a year, The Book Report contains information on upcoming programs for all ages, library news, new movies, popular books, and more. You can also pick up a print copy of this newsletter from the Main Library or Ossian Branch. 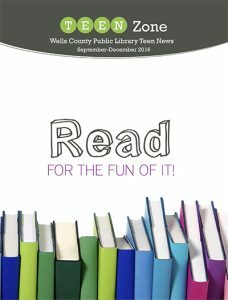 Published three times a year, the Teen Newsletter is filled with information on what’s new in the Teen Zone and upcoming teen events. You can also pick up a print copy at the library. 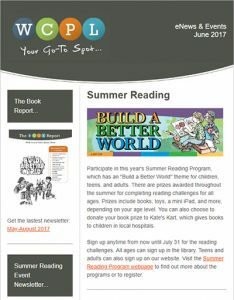 Sign Up For The WCPL eNewsletter!